Jiamini, Inc., is a New York based non-profit corporation exempt from federal income taxation under section 501(c)(3). Our spending philosophy is simple – do the absolute most we can for our students with every dollar. We apply diligence and direct oversight to every program, which means every dollar of your donations will create maximum impact for our students. 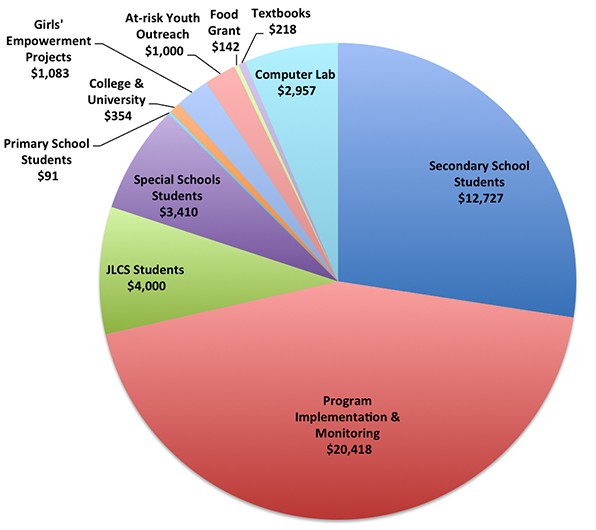 We are committed to financial transparency and are proud to share exactly how your donations are spent. 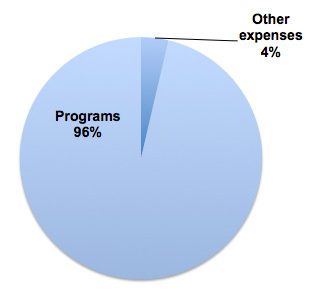 We spend the absolute minimum on administration and fundraising. Our directors work on a volunteer basis and cover their own travel costs to Newala. Support for Jiamini comes by word-of-mouth and free online tools. We use institutional grants to cover our “Other Expenses,” which include banking fees and web hosting. Our 2017 Annual Report summarizes the impact of your generosity.